A new study findings presented at the European Congress on Obesity suggest that older obese men could shift excess weight by taking testosterone supplements. In a study, hormone-deficient men were given testosterone supplements in a similar way to HRT for older women. Men lost an average of 16 kg over five years when testosterone levels were increased back to normal. But experts warn that supplements may not be the answer due to possible risks of prostate cancer and heart disease. The findings announced at the conference also suggest that raising testosterone levels could reduce waist circumference and blood pressure. Dr. Farid Saad, lead author of the study said: “We came across this by accident. These men were being given testosterone for a hormone deficiency – they had a range of problems – erectile dysfunction, fatigue and lack of energy. However, experts remain dubious. While some experts have linked low testosterone levels to a male “menopause”, with symptoms including changes in sleeping patterns, poor concentration, feeling worthless and anxiety, others have found to have no such link. 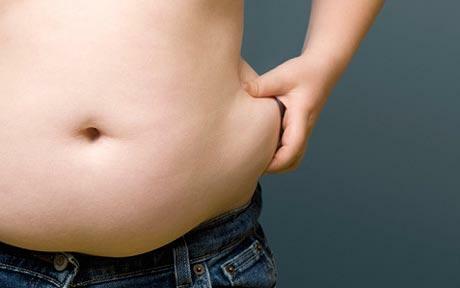 The study looked at 115 obese men aged between 38-83 years with low testosterone levels. They were injected with the hormone every 12 weeks to increase levels. The research, paid for by Bayer Pharma, a manufacturer of testosterone replacement therapy, found no increased risk of prostate cancer, a side-effect found in other studies. The relationship between obesity and testosterone appears to be a vicious cycle. There are numerous studies showing that obesity, in particular abdominal obesity, is associated with reduced testosterone levels in men and a reduction in muscle. With ageing, especially beyond 40-50 years, testosterone levels tend to decline slowly, which may predispose to abdominal obesity which will then further lower testosterone levels.